Home » Surprise! Jupiter Has New Neighbours We Didn’t Know About, And One’s The Size Of Our Earth! Surprise! Jupiter Has New Neighbours We Didn’t Know About, And One’s The Size Of Our Earth! In a new discovery, scientists have located two new companions of hot Jupiter – one outer planet the size of Neptune, and an other inner planet the size of our very own planet Earth. 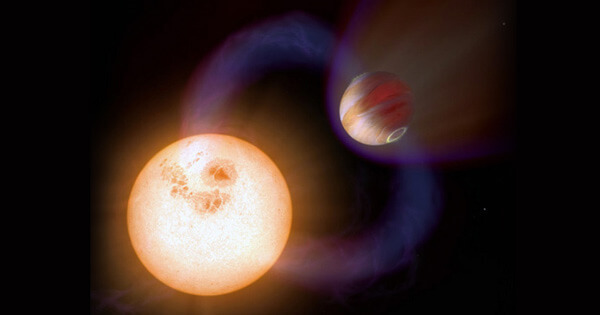 This is the first time two planetary bodies have been found so near to hot Jupiter, orbiting the same star, WASP-47. The new discovery was made by the K2 mission that involved the Kepler Space Telescope. “This is really exciting. People have looked for these planets and have looked in data that exists for hot Jupiters for years and nothing has come up. So people took it to mean that it was not possible to have these close-in planet companions,” said Juliette Becker of the University of Michigan. Till now, some 300 hot Jupiters have been discovered by scientists. They are called ‘hot Jupiters’ due to their similarities with Jupiter – all have sizes and gaseous compositions shadowing that of our own giant planet. Scientists have been trying to solve the mystery surrounding these hot Jupiters orbiting so near to their host stars. This discovery therefore comes as a new breakthrough which will help scientists understand how these exoplanets evolve withing their solar system.